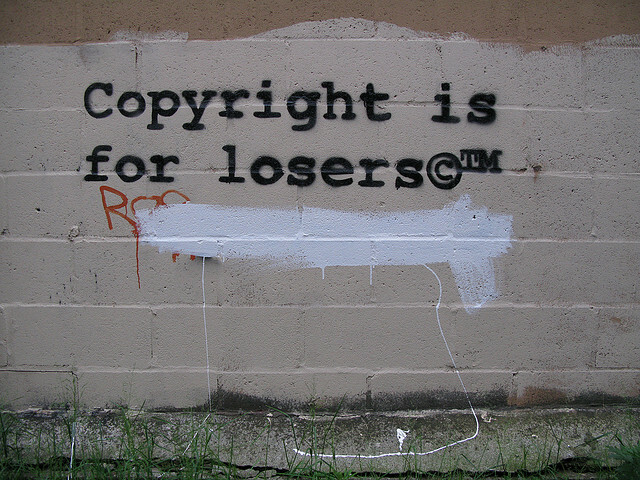 Observing the copyright of other writers, photographers, video makers, and illustrators is very, very important when you’re putting together your multimedia project. You may not use just any old photo or illustration you find using Google Image search. Similarly, you cannot simply “reblog” great stuff you find on other people’s blogs or web sites. Using other people’s work without permission is illegal. It also devalues the work professionals do, which may make your own work worth less in the future, when your work is your livelihood. That’s worth thinking about! Fortunately, on the the Internet you can find a community of generous people who like to share their work. It can be an advantage for a keen amateur photographer to have his or her photos used on your site – it promotes their work. There are some very good web sites which offerCreative Commons-licenced images and music which you’re able to use in non-commercial projects. 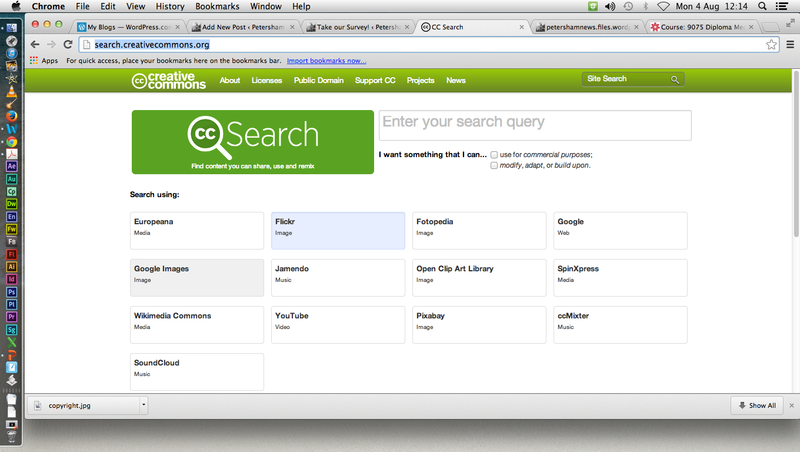 A good first place to start to look for CC-licenced photographs is the CC licence search. Enter your search term, and click on the site you want to use for your search. You can also find CC-licenced images directly on Flickr and DeviantArt. Flickr allows you to narrow your search to CC-licenced images only, by going into options under the ‘advanced search’ link. DeviantArt contributors provide a download link next to their work if they agree to its use elsewhere. When you’re using work posted on Flickr or DeviantArt, you MUST provide a byline or credit – an example is in the caption for the photo above: “Photo: 917press/flickr, some rights reserved.” You may also make your credit a link to the illustrator’s page on Flickr or DeviantArt. It’s also generous to offer the artist a thank you and a link to your site in the comments section below their work. j-school Create a free website or blog at WordPress.com.